Finley Structures boss Julie Raistrick is calling on businesses to be vigilant after a “brazen” £210,000 theft in Newton Aycliffe. Around 60 tonnes of fabricated steel was taken from the firm’s premises on Aycliffe Business Park in the early evening of Saturday January 20. The thieves used specialist equipment to take the fully-loaded trailers, one belonging to Finley and three belonging to sister company SCH Site Services, from the same yard. 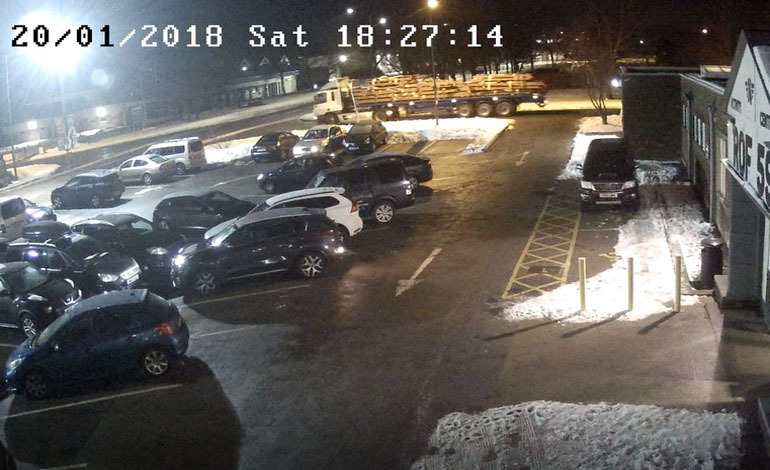 CCTV footage shows a truck arriving on the park and passing by ROF 59 activity centre at 6.14pm – it takes thieves just 13 minutes to break the locks and gain entry to Finley’s land, hitch the first trailer containing 15 tonnes of steel and make off. Steel worth £90,000 and four trailers each worth £30,000 were taken during the two-hour operation. 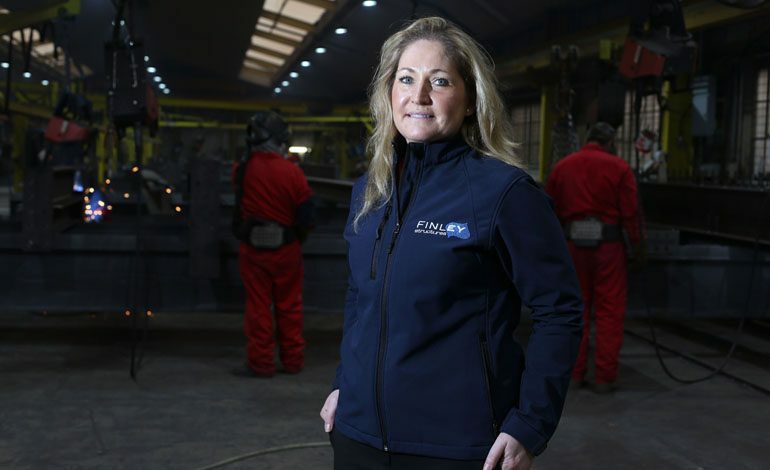 Finley’s joint managing director Julie Raistrick is now calling on police to install better security around its premises – and is urging other businesses to be vigilant. Ironically, the theft comes at a time when Raistrick has moved to reassure staff and clients that the firm has not been “adversely affected” by the collapse of construction giant Carillion. Raistrick said: “The irony is we have luckily avoided being hit by Carillion, but then we suffer from a brazen theft. “The culprits who did it are clearly part of a professional outfit – they had all the gear and they had the brass neck to come back four times over a two-hour period. “We have CCTV footage of the theft commencing at 6.14pm following the trailers to Faverdale Business Park, the trailers were dropped there and then collected during the night in to the early hours of Sunday. Meanwhile, writing in the company’s latest newsletter which is circulated to staff and clients, Raistrick says: “The current climate of our industry has been brought to the fore recently with the high-profile news surrounding Carillion. “We have worked on numerous contracts with the construction arm of Carillion over the years, so we know them very well, and it goes without saying it has been incredibly sad and disheartening to see what has happened. Anyone with information is urged to call police on 101, or Crimestoppers anonymously on 0800 555 111.